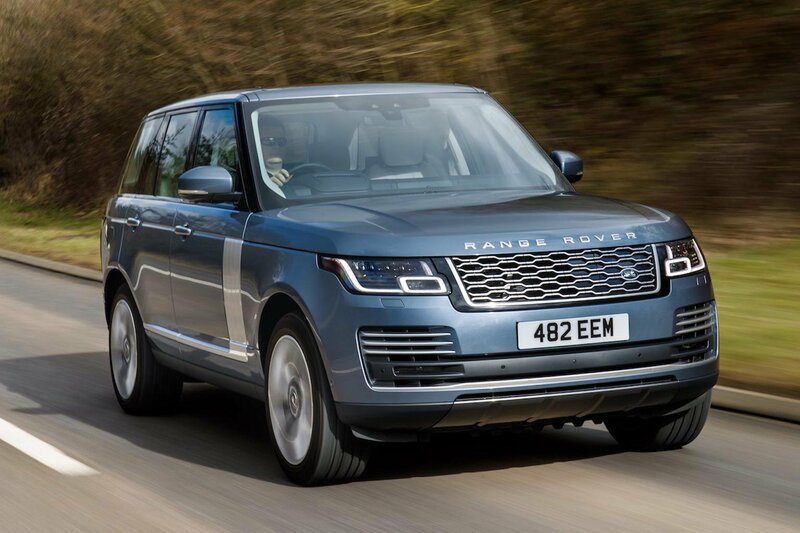 2018 Range Rover P400e PHEV review – price, specs and release dates | What Car? 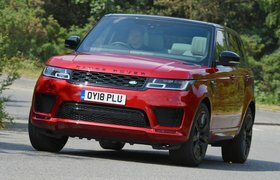 Land Rover’s flagship Range Rover model has been overhauled for 2018 with changes that run far deeper than a quick glance at the exterior would suggest. The star attraction is the addition of this company-car-tax-friendly plug-in hybrid version, the P400e. It’s Land Rover’s first plug-in hybrid system; it mixes a 296bhp petrol engine with a 114bhp electric motor and battery pack. It’s officially good for average fuel economy of 101mpg and CO2 emissions of 64g/km, comfortably making it the most economical model in the range on paper. It can also run on electric power only for up to 31 miles, with a full recharge of the battery taking 2hr 45min with a fast charger. The beauty of the P400e is that, despite the multiple hybrid and off-road driving modes, it’s no harder to drive than a typical luxury SUV. As long as the battery is fully charged, you simply press the starter button, twist the rotary gear selector round to Drive and pull away in complete silence. It’s a serene experience that feels perfectly in tune with the ethos of a Range Rover. 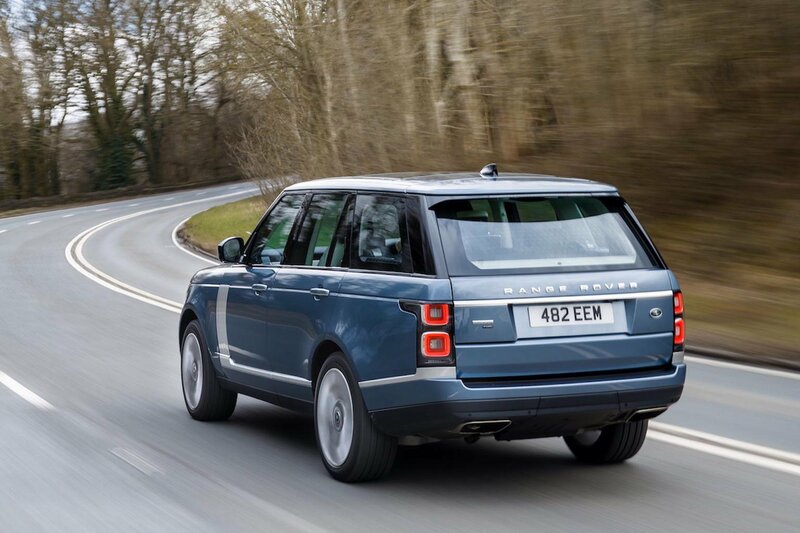 Depress the accelerator pedal further and the 114bhp electric motor powers the Range Rover up to B-road speeds with minimal effort, with 85mph being the cut-off speed at which the petrol engine fires into life. It’s an impressively flexible electric unit and one that endows the P400e with a level of low-speed quietness that its diesel-powered siblings can't match. But what happens when you use up the battery’s 31 miles of pure-electric range, we hear you ask? Well, at that point the electric battery seamlessly and silently passes the load-lugging baton on to the 2.0-litre turbocharged petrol engine. In fact, at town speeds it can be difficult to decipher exactly when the handover took place, such is the refinement of this hybrid system. However, that motor is not without flaws. Once you get onto faster and more undulating country roads, it gets markedly more vocal in its propulsion, requiring plenty of revs to deliver the same kind of get-up-and-go as the big V6 and V8 diesels. An eight-speed gearbox that is far too keen to change down a gear when it should be using the torque on offer is also frustrating. But then again, this is a two-and-a-half-tonne vehicle; and if there is one take-home message from driving the P400e, it’s that you can’t beat physics. Even when pulling out of a car park, you can feel the dynamic impact of that heavy boot-mounted battery, with the P400e feeling slightly more ponderous and less keen to change direction than the standard car. Factor in firmer suspension (necessary to keep that extra weight in check) that has the P400e shuddering over small imperfections and you have a dynamic package that feels slightly unbecoming of a Range Rover. And, like all plug-in hybrids, you need to take fuel economy claims with a pinch of salt. Yes if you have a short commute and are able to plug your car in at home and at work, then there is a chance you will get close to the car’s official 101mpg economy figure. However, for those who don’t have easy access to a charging station or frequently cover big mileage, expect fuel economy to drop to the low-20s. That's similar to what you can expect from Volvo’s XC90 T8 but significantly worse than the diesel Audi Q7 e-tron. 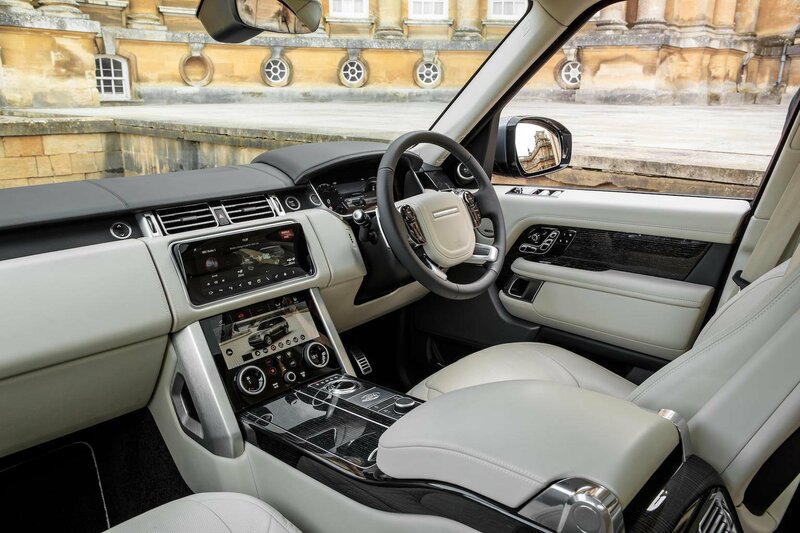 New hybrid option aside, the major changes to the 2018 Range Rover take place in the interior that are all designed to bring greater levels of comfort and luxury. To that end, there are new front seats that are asymmetrical in design to allow the driver to slide onto them more easily. Once you're there, the seats are bigger and more comfortable than before and the control switches to operate their electrical adjustment have been relocated to the door panel for greater ease of use. You will not want for comfort. Nor will you want for technology, because Land Rover has given its flagship model the dual-screen infotainment option from the smaller Range Rover Velar. It’s feature-packed but isn't the most intuitive to use until you've mastered the various screens and functions. Rear-seat passengers also benefit from new seats with greater adjustability, but leg room remains deceptively tight in this short-wheelbase model, given how big the car looks from the outside. A long-wheelbase version helps to address that. Oddment stowage has also increased. There are more small storage areas and the fridge between the driver and passenger seats has increased in size to house 500ml bottles. Other tweaks include a sunblind for the panoramic roof that can be operated by gesture control and a filter to improve interior air quality. Unfortunately, like the majority of hybrids, the P400e loses some boot space (including a full-size spare wheel) to accommodate a battery pack and electric motor. Land Rover claims boot space is reduced by up to 98 litres, with the boot floor raised by 46mm. That said, the remaining space is generous, thanks to a flat boot floor and a clever split-piece tailgate. The overall impression of the interior is one of incredible luxury and comfort, and it remains the car’s key selling point. It is one of the most relaxing environments in which to sit and drive a car.